Passengers had a scare in the early hours of Monday morning when smoke filled up one of the hallways on Carnival Sensation at the end of a western Caribbean cruise. Many guests on the Carnival Sensation were woken in the early hours of Monday morning when it was thought a small fire broke out on deck 6. It started at around 3:00 AM when an emergency Alpha code was announced throughout the ship. This means there is a possible fire onboard and crew members who are trained to deal with these situations are told to attend. However, after it first appearing that a fire broke out Carnival Cruise Line did state that when fire crews arrived no fire was found on deck 6. The thick smoke was apparently coming from a housekeeping storage unit. The good news is that not long later, the smoke dissipated and no injuries were reported. Great work from the crew member fire team who continuously practice for ship fires during their contract. The captain apparently also announced that it was extinguished on the public PA system. Some cruisers went to social media posting about the shock of smoke filling up the hallway with worried fellow passengers and some even wearing life jackets. The Fantasy-class cruise ship was coming to the end of a 4-night western Caribbean cruise which departed Miami, Florida on February 7. Hours after the scare the ship arrived back into PortMiami at around 8:00 AM. Carnival Sensation is scheduled to depart for a 5-night sailing later in the day. We recently posted about a large fire which broke out on the Carnival-owned private resort of Princess Cays in the Bahamas. Luckily no guests wee there at the time and there were no injuries. We just hope a fire on a scale of the one at Princess Cays never happens in the future on a cruise ship. There will always be specially trained crew onboard every sailing and the cruise lines do take fire safety extremely seriously with drills and tests which crew must do. 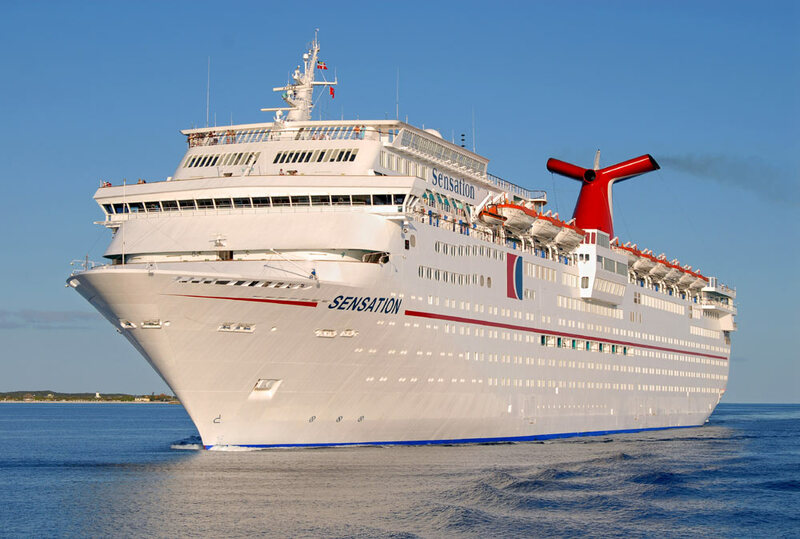 Carnival Sensation joined the fleet in 1993 and is one of the oldest int he fleet. The ship last had a dry dock in February 2017 and the next one is scheduled for 2020. The vessel is over 70,300 gross tons with a guest capacity of over 2,000 at double occupancy.